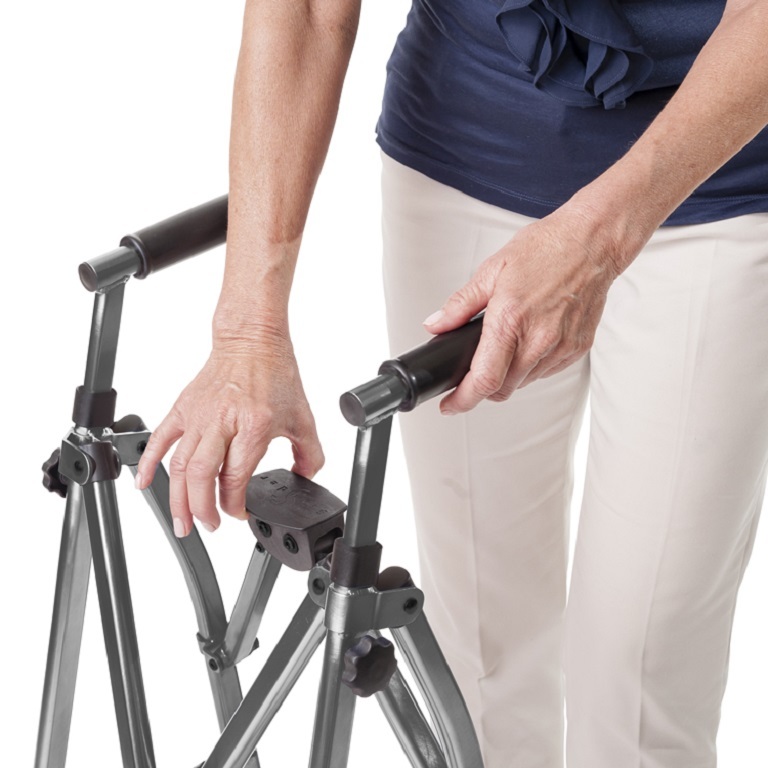 EZ Fold & Go Walker from Stander can be used by users with arthritis to increase mobility on uneven surfaces. 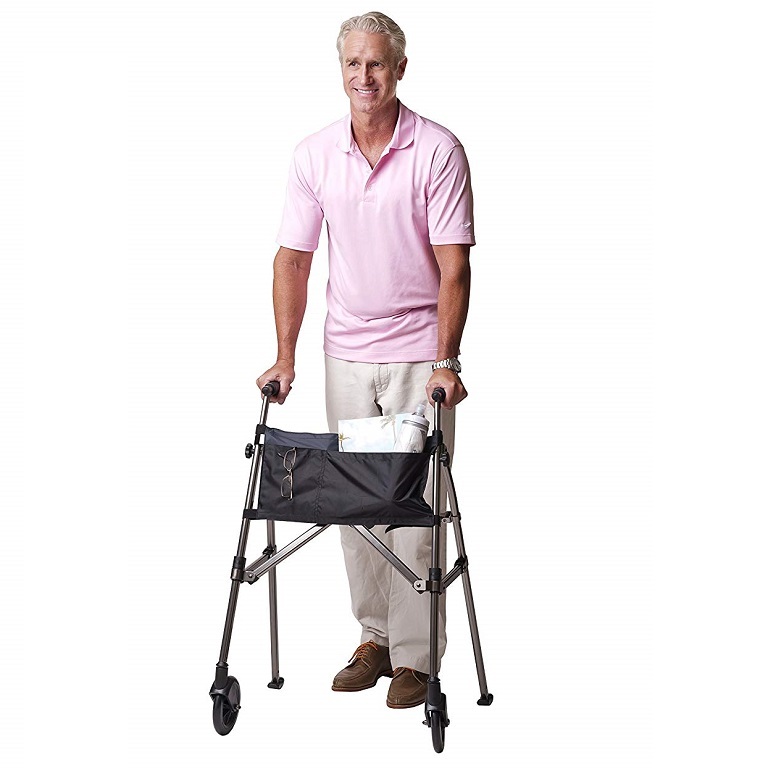 Are you a caregiver providing in home care to an individual who uses a walker? 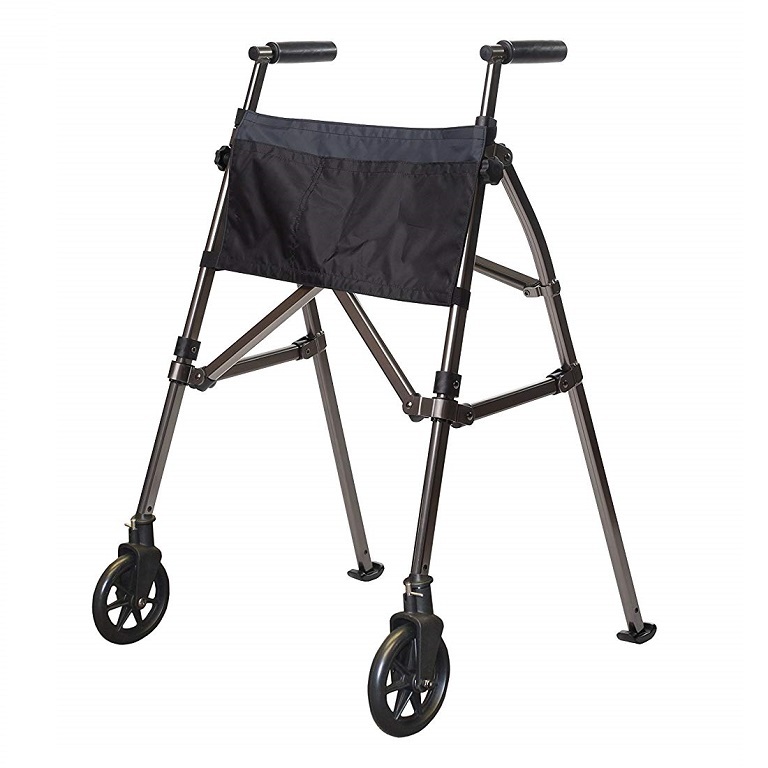 Is the walker your patient uses impossible to fold and bulky to transport? 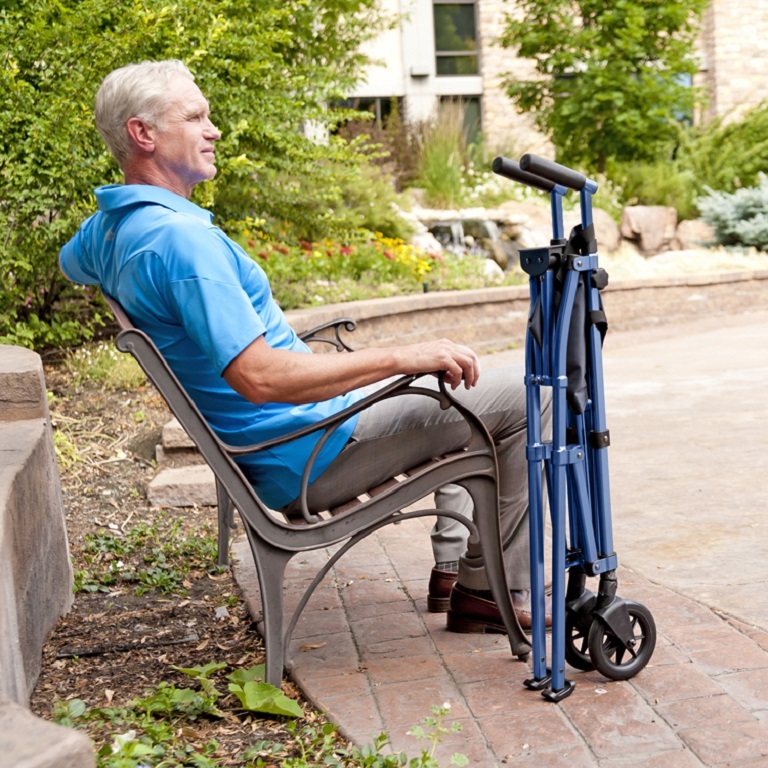 With the EZ Fold & Go Walker from Stander caregivers will be able to effortlessly set up or fold it away, for easy portability. 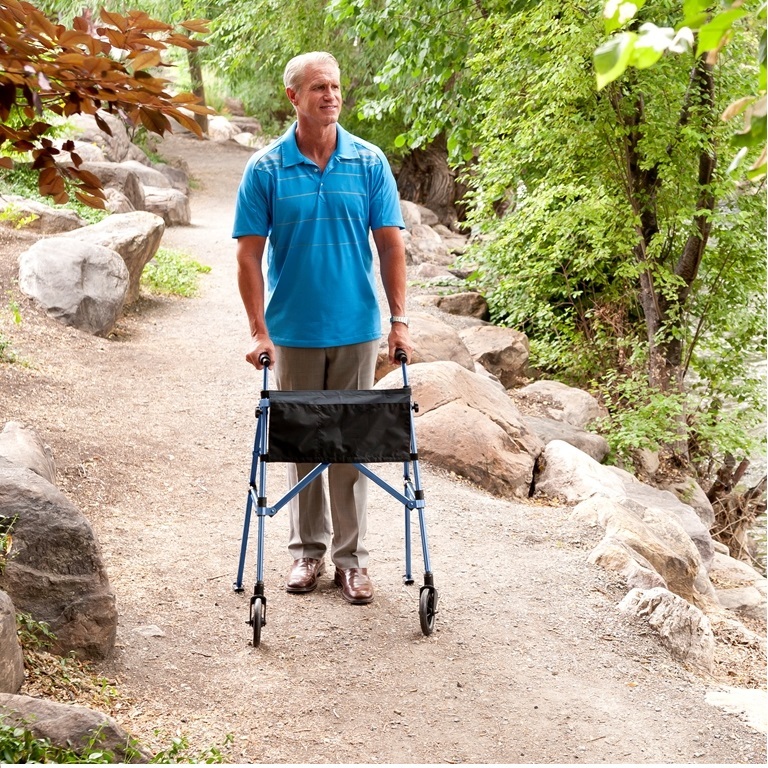 The Fold & Go walker is a modern designed folding walker that is easy to use and allows users to walk with confidence. 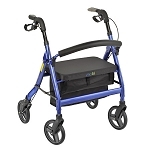 The unique design allows it to open and fold up easily, for fitting in small spaces for storage or travel. 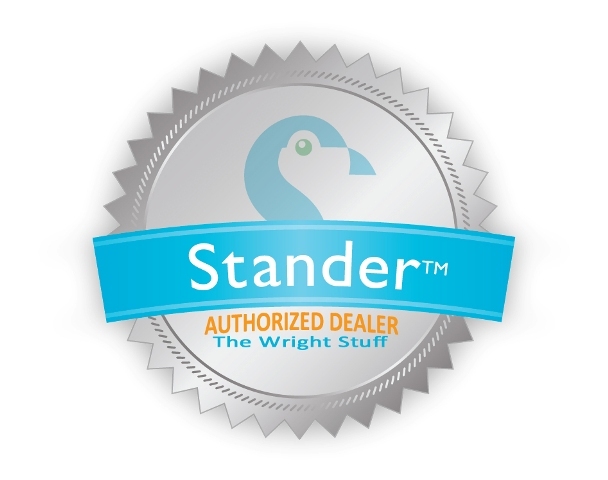 Stander has designed the EZ Fold-N-Go Walker to be sturdy and strong, supporting up to 400 lbs. 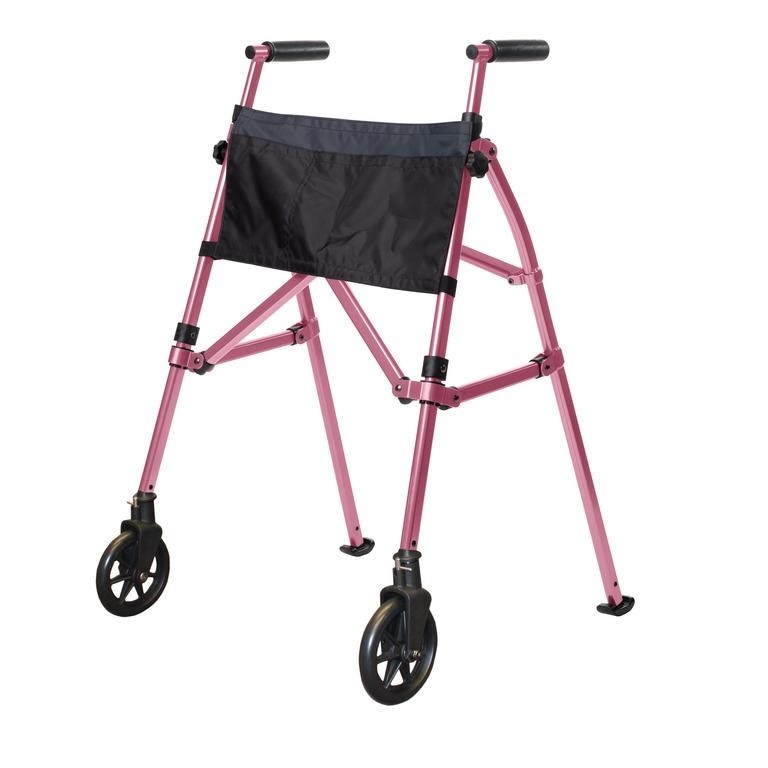 The innovative height adjustment feature allows the walker height to be easily adjusted to accommodate users from 4 feet 10 inches, to 6 feet 8 inches tall. 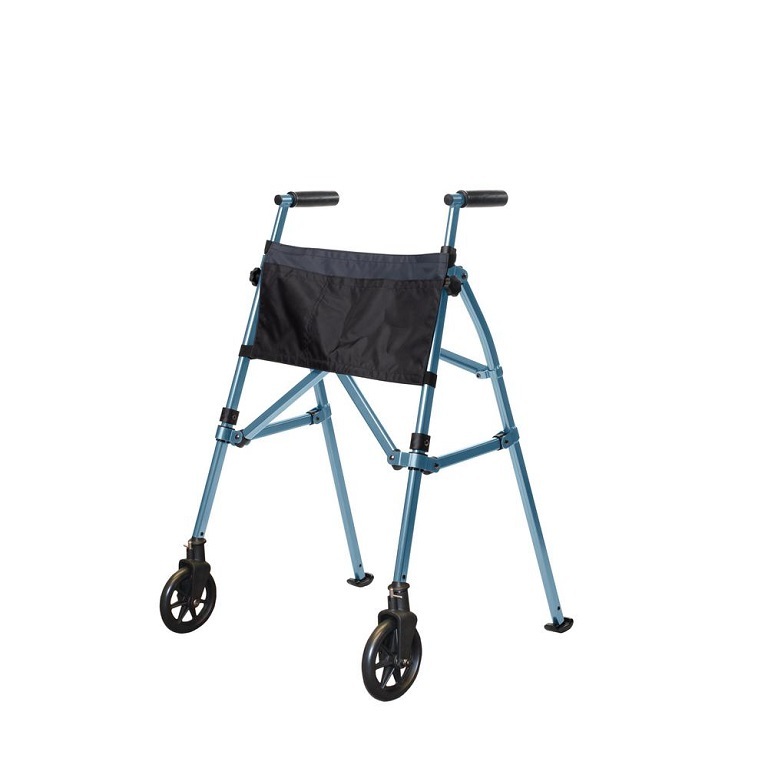 The 6 inch swivel wheels and rear easy-glide feet allow the user to easily maneuver the walker. 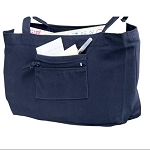 A 2 pocket organizer pouch is included with the walker. 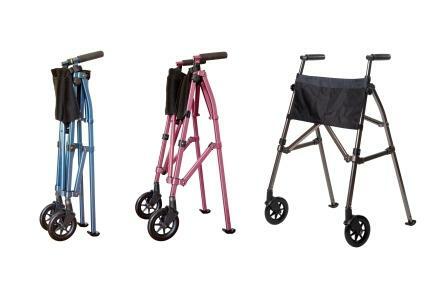 The EZ Fold-N-Go Walker is available in three stylish colors: Black Walnut, Cobalt Blue or Regal Rose. 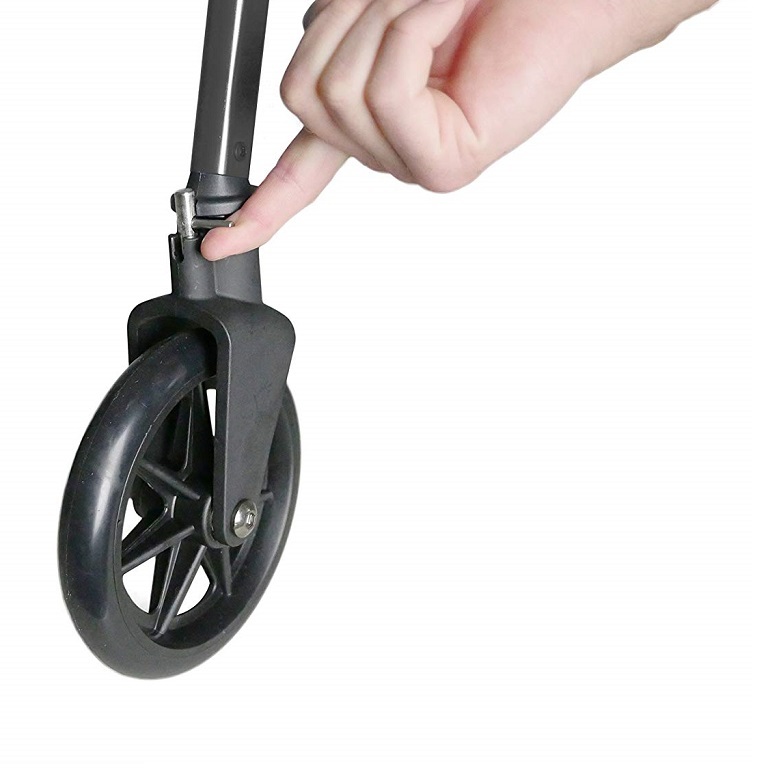 Please contact us for information on replacement wheels, ski glides, organizer pouch, non-swivel wheels, and ski glide covers for the EZ Fold-N-Go Walker. 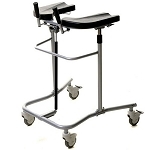 Open Dimensions: 21.5 inches high, 25.5 inches wide..